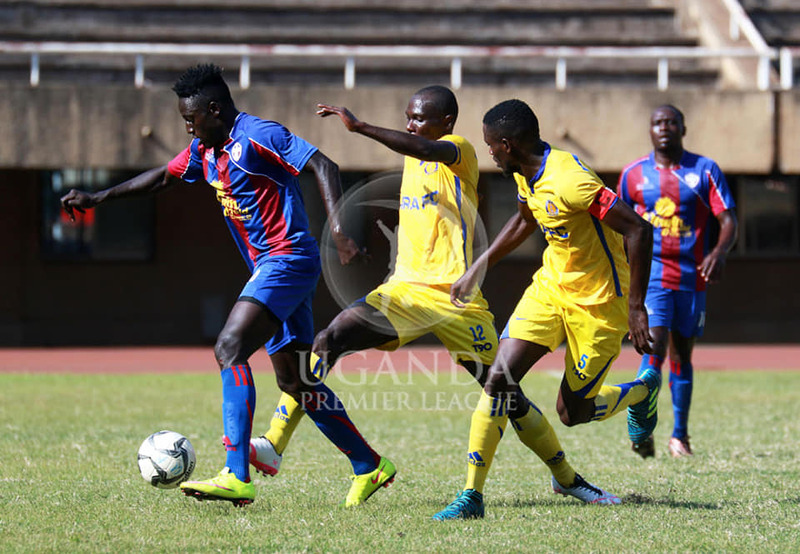 NAMBOOLE – Maroons defeated URA 1-0 at Mandela National Stadium in one of the two StarTimes Premier League games played on Friday. URA’s Kigongo Ronald held the ball in the box and invited a foul inside the Tax Collectors box, hence the referee awarding the guests a penalty scored by Brian Majwega in the 73rd minute. This is Maroons first away win of the season and URA’s second loss with the first coming at home to KCCA. URA tried to equalize through Charles Sempa who received a pass in the box and shot but the ball went straight in the hands of Akol Emanuel and denied the hosts a chance to convert. Lwasa Peter (URA) fashioned a shot from the edge of the box after receiving an accurate pass but Akol made a stunning save to stop the effort from flying into the bottom left corner just before Majwega scored. Agau Rashid was replaced by Yubu Bogere in the 75 that minute who created many chances but failed to convert. Speaking to the press after the win, Maroons head coach Robert Semweyana said he needed the points in order to survive relegation and he promised to win the remaining games. “Am very happy that we have defeated a team like URA and we needed the points and we are going to make sure we win the remaining Matches”. He said. Maroons moves to the 12th position with 18 points while URA stays in the 4th with 31.